Where were you on the afternoon of Aug. 14, 2003? And what were you doing shortly after 4 p.m. Eastern Time? Don’t break into a cold sweat. You’re not being asked for your alibi. Besides, if you were in parts of the Northeast and Midwest United States, or parts of southeastern Canada, chances are you weren’t able to do much. On that day, power lines in Ohio tripped after coming in contact with overgrown trees, triggering an electrical overload that wreaked havoc on the U.S. power grid and led to the largest blackout in American history. To think, it started with untrimmed trees. What kind of damage could a cyberattack do to a utility company or power plant whose systems use vulnerable security software? More than a dozen utilities reported “daily,” “constant,” or “frequent” attempted cyber-attacks ranging from phishing to malware infection to unfriendly probes. 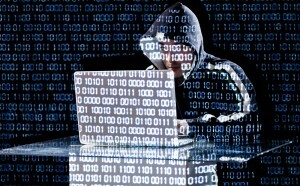 One utility reported that it was the target of approximately 10,000 attempted cyber-attacks each month. Talk about targets ripe for attack. Two researchers recently proved it, identifying 25 vulnerabilities in the products of critical infrastructure systems that leave servers controlling electric substations and water systems susceptible to crashes and hijackers. One made it possible to gain control of the master server and command the entire system. Another forced the server to continuously loop, which could halt data collection and result in operators unknowingly making decisions based on outdated information. And that’s where utilities of the small to mid-sized business mold come into play. Many think they are too small to be a hacker’s target, and therefore fail to properly secure their IT and operational systems. Hackers feed on this philosophy, using the “little guy” as the entry point to the big stations. Patch management – Security breaches most often result from missing network patches. Automated patch management frees you from the time-consuming (albeit critical) task of keeping the machines on your network protected with up-to-date patches. Vulnerability assessment – Scanning your operating systems, virtual environments and installed applications through vulnerability check databases enables you to discover threats early and address them before they cause problems. Centralized network auditing – Visibility into the state of your network is extremely valuable. A thorough understanding of installed applications, mobile devices with server connectivity, open ports, and much more, goes a long way to thwarting threats. A well-executed cyberattack on the U.S. power grid could disrupt the delivery of food, fuel and water. It could cripple the economy and jeopardize national security. For small utilities, ensuring their systems are secure is more important than ever.